So since my Korean Fall Fashion Haul video, a lot of viewers have been asking me to do a Cosmetics Haul which I was planning to do anyway - it just didn't feel right not doing one. 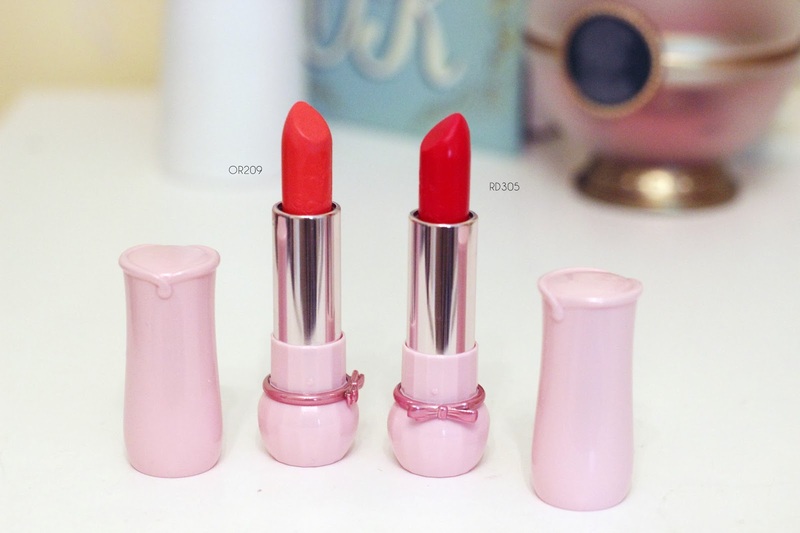 Note: I do realize I went slightly overboard with the lipsticks but what can I say? They were so cheap! Here goes. 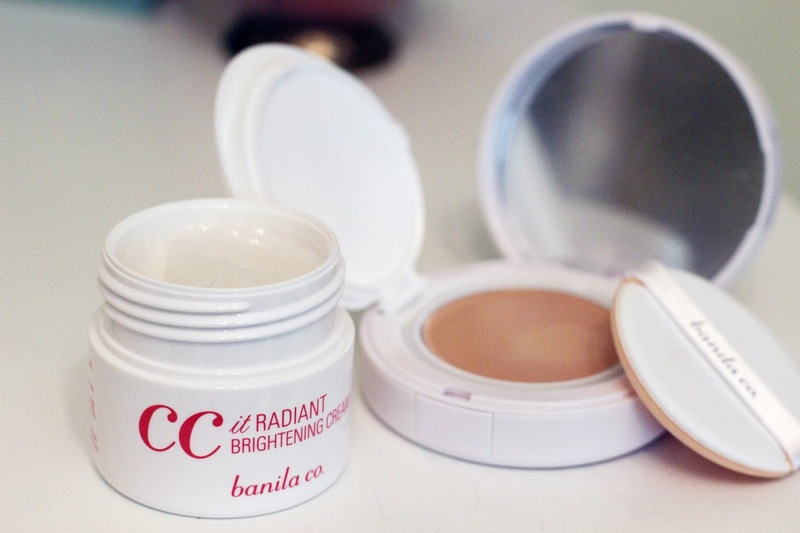 I picked up what the staff said were Banila Co's most popular and well-known products - the CC line. I first got the 'primer' - the CC It Radiant Brightening Cream and oh my gosh this feels divine. It's the perfect consistency for a Fall/Winter primer and I have fallen in love after my first use. 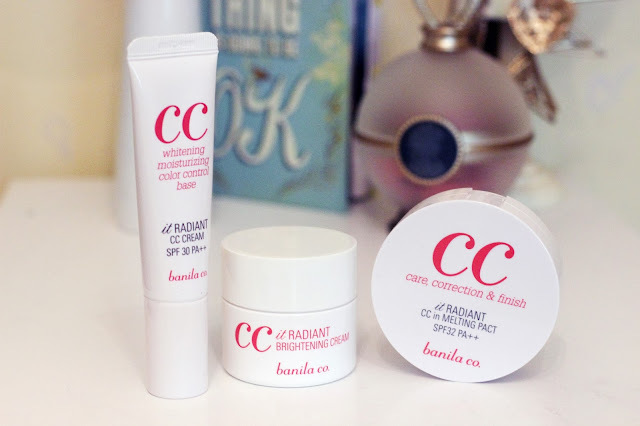 The CC cream is a lightweight almost colorless cream but brightens the skin, whilst the compact is cream-based and helps by having a bit more coverage. 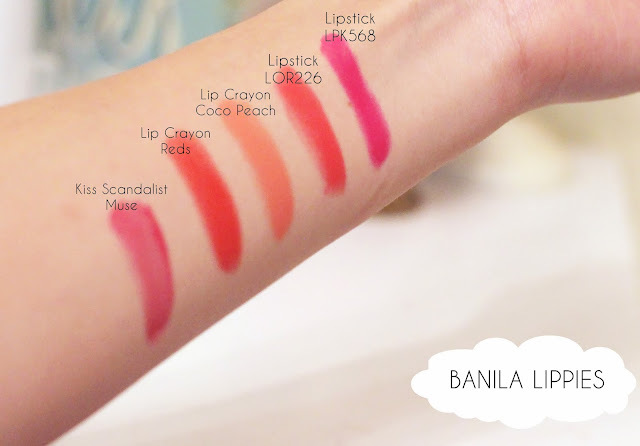 I have been obsessed with corals and oranges after seeing how Korean girls wear their lipsticks, and here are the lippies I got from Banila. I know - slightly overboard, but I don't regret it one bit! 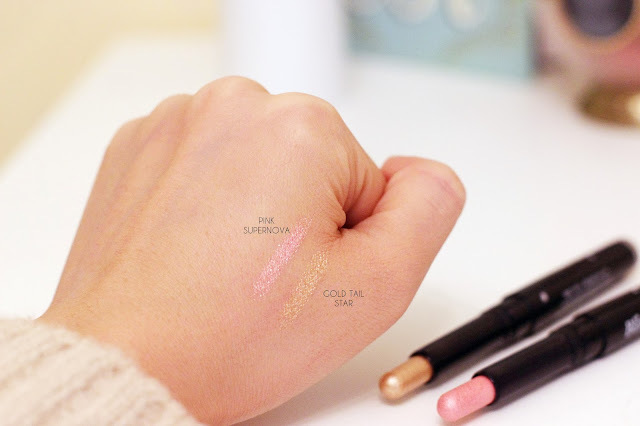 3 Concept Eyes by StyleNanda is a new brand to me, yet there was so much hype going on about it I decided to check out the store and got a couple of products. First was the High Cover Concealer which reminded me of the Collection 2000 one with great coverage and a good level of hydration. 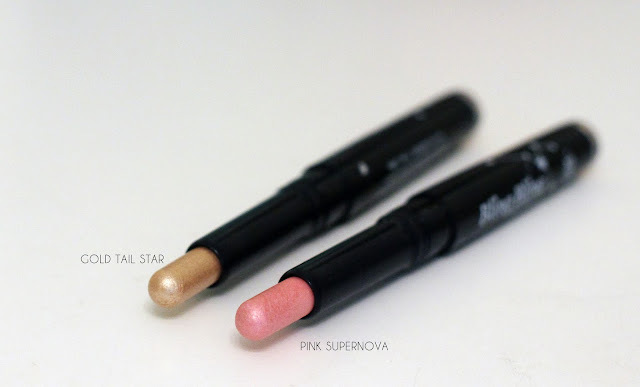 Next, the Shimmer Stick was also quite an intriguing product as it is almost like the Nars Multiples, but it has a powder finish after application. 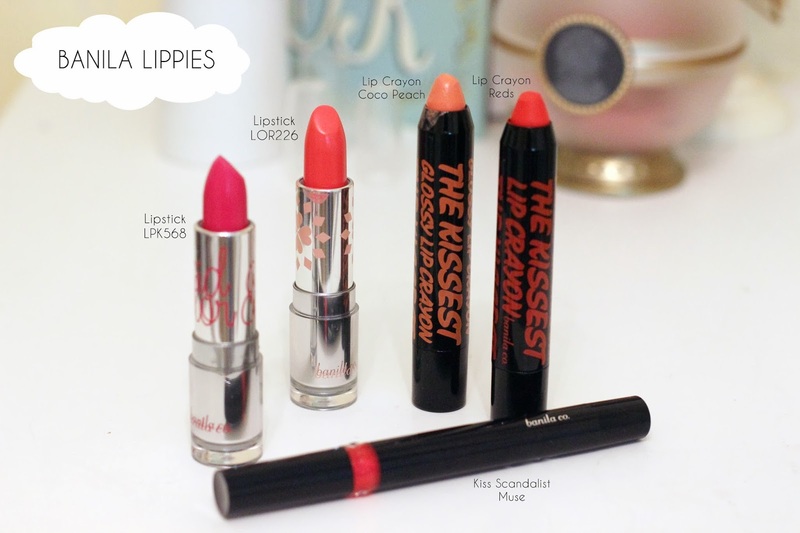 I then picked up the Powdery Lip & Cheek which has pretty much the same finish, and a lipstick which was the 'most popular' lipstick color according to the staff. Lastly I bought a flat top blush/foundation brush as it was mega soft and was priced reasonably. Two more lipsticks I got from Etude House - I just could not resist! 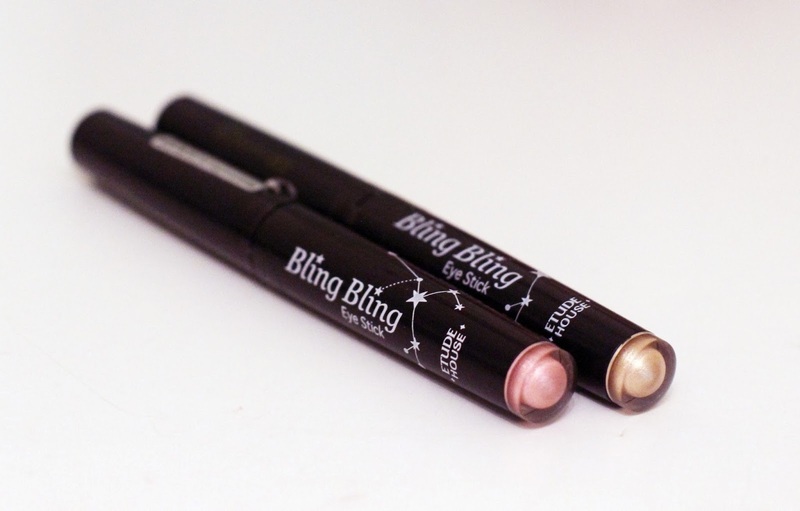 I was desperate to try these Bling Bling Eye Sticks as the colors were pretty and I liked the finish of it. I picked up two, one of them in Pink Supernova which is a pretty pink gold color, and another one in a champagne gold color - perfect for lining the lower waterline or the inner corner. For masks, I had to stock up on my Rich Butter Foot Masks which I swear by. 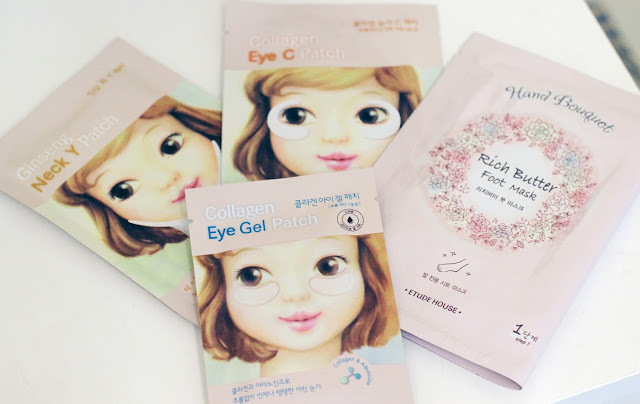 I then picked up some eye and neck masks to try out. Nail Polishes were at amazing prices (priced at a little less than USD $3... a bargain if you ask me). I wanted to try Innisfre products as my friend had raved on and on about them, but I wasn't sure which one to pick. 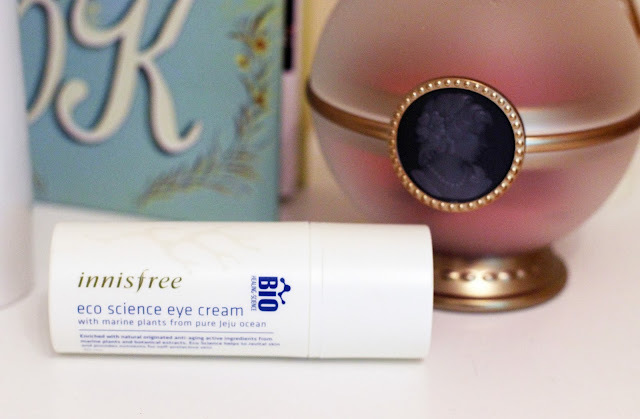 I finally settled with the Eco Science eye cram as I have yet to try an eye cream that made a difference to my undereyes. I don't have high hopes, but who knows - it may surprise me. 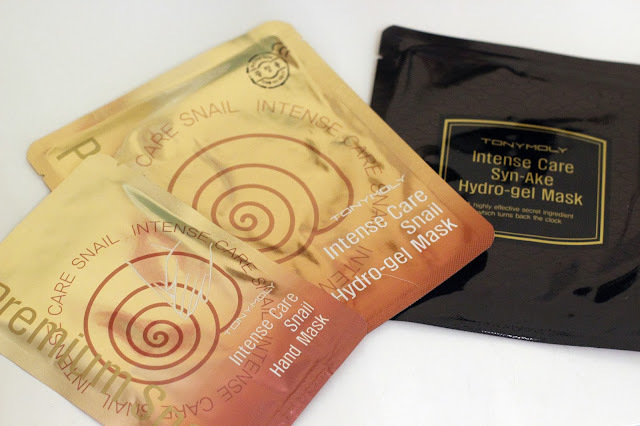 Lastly from Tony Moly, I got my all-time favorite Intense Snail Hydro-Gel Mask for the face and hands, as well as the Snake Hydro-Gel Mask (which I'm not really a fan of after testing it out...). The Snail mask leaves my skin feeling SO soft, I got a ton of these to stock up. 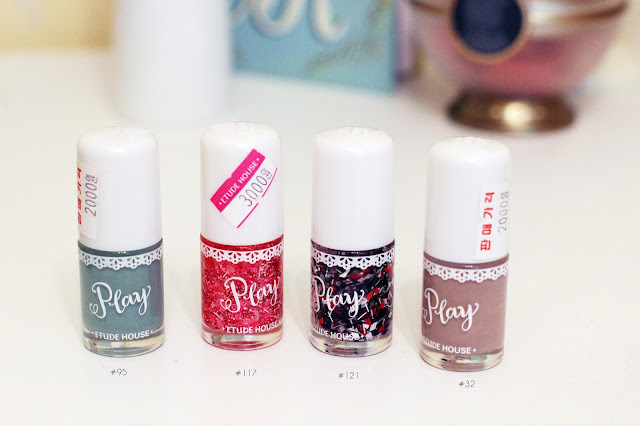 So that was it for my Korean Cosmetics Haul! 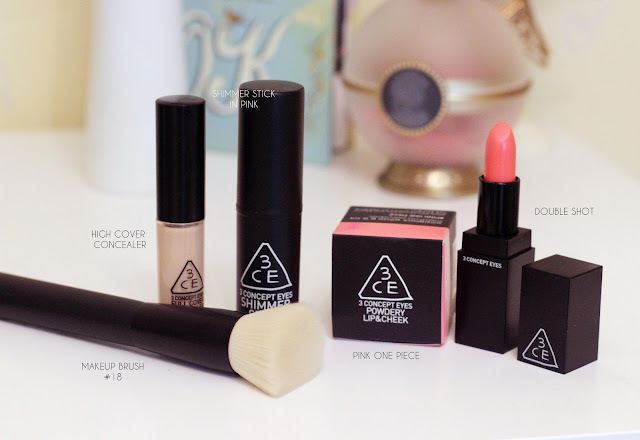 I hope you enjoyed reading this and let me know whether you've tried any of the products I got!